As a real estate agent one of the most important things you can do to build your business and help you sell more homes is to build a mailing list with a real estate CRM system. But yet many real estate agents completely ignore this important part of building their business and it ends up costing them thousands of dollars in commissions every year. A mailing list is the lifeblood of any business especially in real estate. And building a mailing list is easier then you think. With the right tools you can set up a system that builds your mailing list on autopilot. But before we talk about more of the advantages let me ask you a question? How much money do you spend for your real estate website every month? $50, $100, $1,000? And how much money do you spend every month on seo to bring traffic to your website? $500, $1,000, $10,000? Let’s say you went on the cheap and spend $50 per month for the website, and spend about $500 per month for seo to get targeted traffic from people who are looking to buy or sell a home. Your total expense for the year is $6,600. Now how many people did you get into your mailing list for that $6,600? I’m gonna bet that the answer is very little if nothing. The secret to maximizing your marketing dollars is to build a list of prospects that are looking to buy and sell homes. The beauty of using a real estate crm system is even if they don’t buy or sell with you today, with a list of prospects that you can constantly email, you probably turn them into a client down the road. So what is the best real estate crm system? The best real estate crm system is by far Aweber. You can register for a trial for only $1, and then it only costs $19 per month. Let’s talk about some of the advantages. 2) You can pre-write a follow up series of emails and set them to go out whenever you want. Meaning while your out showing houses, your real estate crm will email your prospects as if you were sitting at your office. 3) You can send out broadcast emails. Let’s say you want to send out an email to everyone you know it would take you a long time to email every single person individually, or to even CC them all. But with a real estate crm system you send out one email and it goes out to everyone on that list. 4) Do you blog? If you do the best feature is by far the automatic blog broadcast. You can set up the system to automatically grab your blog feed and email it to your prospect list whenever you make a new post. This feature alone is absolutely fantastic. 5) You can set up as many lists as you want for as many websites as you want. No limit. 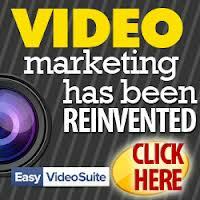 6) And much more… And the video training they provide to help you get set up is very easy to follow. Have some thoughts or questions regarding building a mailing list? Leave Your Comments Below!